If you’re at loggerheads with your family, naming a life insurance beneficiary isn’t going to be easy. A life insurance beneficiary is the one who will benefit from a financial payout after you die. It’s a good idea to name a primary and contingent beneficiary. The leading beneficiary gets everything from your death benefit, but if the main beneficiary passes away first, then the secondary or contingent one receives the payout. You can also choose a number of beneficiaries and not just one. When you take out a life insurance policy, you can name the people who will benefit from it. Many times little consideration is given with naming the beneficiaries. When naming one you’ve got to think of their age and their ability to manage assets. lead to complicated tax consequences. 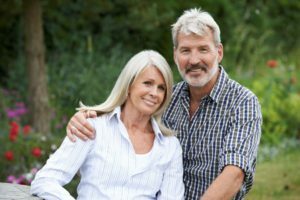 If you do name your spouse as your beneficiary, they can designate whoever they like as the new beneficiary, which may well be someone you never wanted. Accounts you jointly hold with your spouse becomes their sole property when you die. Be careful about naming your estate as your beneficiary. That’s because the executor must pay out and tax the entire balance within five years. Your heirs may well have to wait a long time to receive the funds and may also need to pay estate taxes on the amount. Review your beneficiary designations every other year. Certainly do this when your remarry, get divorced or have more children. Check too that a particular charity you once designated does in fact still exist. If you don’t choose a beneficiary, the funds will go directly into your estate, or it could land up regrettably into the hands of someone you never considered. You need sound advice if you want to make the best decisions for your individual circumstances. Not sure where to go for advice and further information? Do you understand your country’s legal requirements regarding beneficiaries? Did you know that in some states in the USA, your spouse must be your beneficiary? If you have objections to this, you must sign a waiver that allows you to name a different beneficiary. Trusted Choice isn’t an insurance company, but they can help you find the best solutions to every investment query you have. They link you to some 140,000+ independent insurance agents. A brokerage can save you loads of time and money because they do all the comparing and shopping around for you. They then connect you to the right agent. Your agent will handle it for you, then help you decide which option is best. And you get the one that understands your insurance needs and budget.